Twelve butterflies fluttered inside Lala’s little stomach that rainy morning. 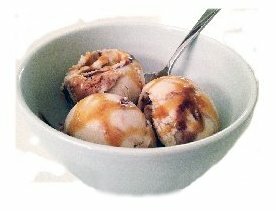 Maybe it was all the caramel fudge ice cream she ate last night. She should have stopped after the second bowl. She convinced herself that she was sick. The more she thought about it, the more feverish she felt. Her forehead was hot and sticky. Her temperature was probably a burning 106 degrees and rising. Her mom frowned, walked over, and placed a palm on her daughter’s forehead. 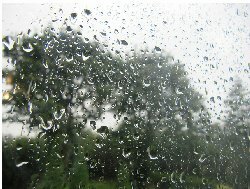 Lala glanced outside the rain spattered window and sighed. Her mom quickly left the room as Lala slowly crawled out of bed like a lazy caterpillar on a green leaf. 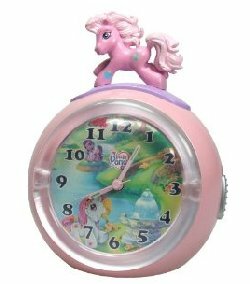 Her arms accidentally knocked over her prized My Little Pony alarm clock. It clattered onto the yellow floorboards. She reached for the clock and placed it back on her violet dresser top. She was relieved it wasn’t broken to pieces. Her mom would have a huge fit. She could imagine her angry voice, scolding, "Why don’t you take care of the things we buy you? We’re not made of money. You must learn to be more careful, Lala!" She pushed her mom’s voice out of her ear, sighed, and hopped out of bed like a clumsy Easter bunny. She tumbled hard and fell flat on her tush with a loud thud. Boy, that hurt. So much for trying to show off. "You okay in there?!" her dad yelled from the kitchen. "Yeah! I’m fine!" Lala shouted back, as she dusted off her bottom. She got up again, straightened her purple polka dot PJs, headed out the door and promptly tripped. Ouch! Her stupid green sneakers almost broke her big toe! 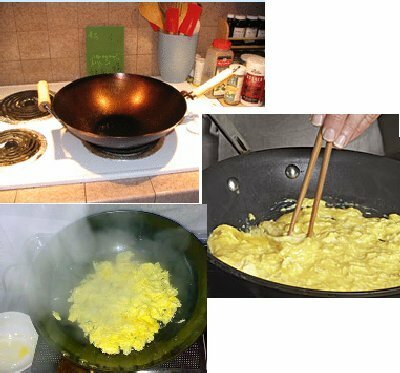 Limping all the way into the kitchen, she noticed her dad at the stove scrambling four eggs on a burnt, rusty wok. He did this routinely every morning, after her mom headed off to work downtown. Lala did not like the smell of eggs in the morning. She pinched her nose, walked over to the breakfast table, and sat down. Resting a hand on her chin, she listened to the pitter-patter of rain outside. Hmmm… where was the sun today? Was it hiding behind the clouds afraid to come out? Lala shifted her attention back to her dad stirring those messy gooey eggs. 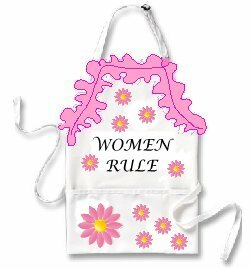 He was wearing her mom’s frilly daisy apron, with the bold black words, Women Rule! on it. His usual blue-collared shirt and checkered tie was partially hidden beneath the apron. She wiggled her eyebrows and giggled hysterically. 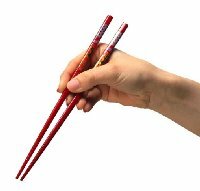 Her dad spotted her from behind his black framed glasses and playfully wagged a red chopstick at her. "Morning silly bug. Your first day of school in the 3rd grade! Wow. Aren’t you excited?" 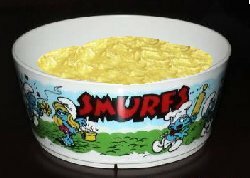 She shook her head, as he spilled scrambled eggs into her favorite blue Smurfs plastic bowl. She made a face and said, "Yuck!" She smiled and reached for a pair of long skinny red sticks on the countertop. Lala had been practicing how to eat with chopsticks for the past week. Her mom was teaching her more about Asian culture since Lala is Vietnamese American. 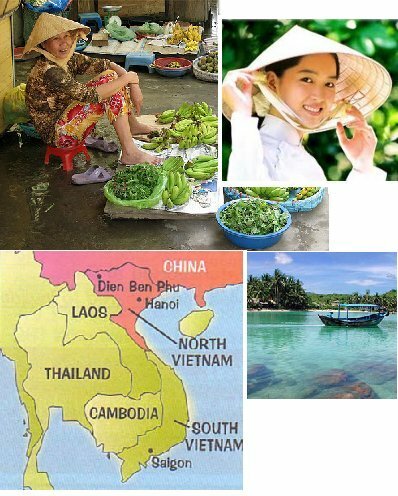 Her dad, who only spoke English, recently started taking an interest in Vietnamese language as well. The two were learning together and having lots of fun. Lala listened to her dad whistle in tune to an old folk song on the radio. She could not understand why he was so enthusiastic on her first day of school. She tilted her head to look up at him. "Daddy, do you think I will make any friends today?" "Of course you’ll make friends," he predicted, still in that bubbly tone. Lala fidgeted uncertainly in her chair. “What if they don’t like me? What if they think I’m weird? What if I don’t fit in?” Her dad shook his head. “That’s impossible. You had a ton of friends at your old school. I’m sure you’ll make even more friends here.” Lala scowled as he made a goofy monkey face in attempts to cheer her up. As her dad drove to David Reese Elementary School, Lala felt like puking up those slimy yellow and white eggs. She distracted herself by counting all the green trees that flew by them. One, two, three, hey cool, a lemon tree, okay, focus...four, five, six, seven, eight...wait, what is that horrible smell? Their blue Buick suddenly jerked to a stop in the middle of the rainy road and started making gurgling sounds. Smoke rose from the front of the car. Her dad started to panic. Lala was shocked when he said the forbidden S-word three times while banging the steering wheel with his fists. She watched as he made several frantic phone calls on his cell phone. Cars started to beep, passing them from behind. Wow, she had never seen her dad sweat this much before. When a giant gray truck came to tow their precious car away, he couldn’t bear to watch. Neither could she. 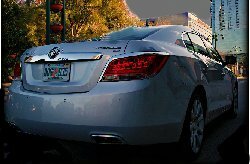 The Buick was part of the family. It was the first baby. 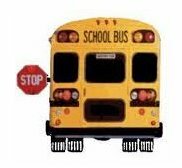 They ended up taking one of the yellow school buses next to these little kindergarteners with pink cheeks. Lala slid down further in her seat and tried to hide behind her Princess Ariel backpack. Her father was sitting next to HER on the school bus. How embarrassing. At school, the rain decided to take a break. Still no sun. Lala and her dad roamed the school grounds, like two hungry lions searching for food. 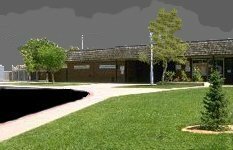 They finally located portable 72A near the silver swings and the golden sandbox. She jumped onto a muddy dark puddle and accidentally splashed her dad’s brand new beige pants. He gave her an irritated look. She could tell that he was still worried about his Buick. Inside the big square classroom, there were four huge tables with matching chairs, a wet sink, a dusty chalkboard, a green carpet, and ooh...wait, did Lala just spot a blue fish tank? 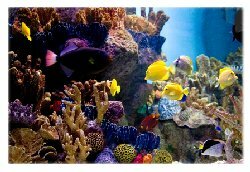 She noticed a red starfish, two puffy pink fishes, and a green sea turtle about the size of her hand, swimming around left and right and sometimes in little circles. They looked safe and happy in their own little world. Lala quickly turned her head away. She refused to enjoy school. There were ten other kids who had been dropped off by their parents that morning as well. 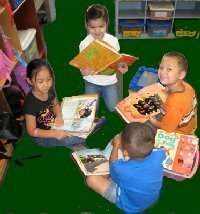 Once the bell rang for class to begin, the children were instructed to sit on what the teacher said was a magic green carpet for story-time. Lala rolled her eyes, "Give me a break", she thought. Oh no, the teacher knows her full name! Was she in trouble already? Her dad waved hello to Ms. Christie. “Yes, this is Lala. It’s her first day here.” Ms. Christie smiled. “Hello Lala. We’ve been expecting you. Class, please say hello to Lala.” The class repeated in unison, “Hello Lala.” A few kids waved at her. Some stared at her. Ms. Christie motioned for her to join the rest of the class at the carpet. Lala’s feet would not budge. Her hands clammed up. Oh no! Butterflies fluttering again! She felt hot and sticky. Her dad whispered to her, "Be a good girl and go to the magic carpet." Lala shouted, "It’s not a magic carpet!" The students watched her with amusement, as she clung to her father’s legs in fear. He started nudging her to go, but she stuck to him like superglue. Then she heard heels treading close by. Click, click, clack, clack. Ms. Christie looked like her blonde Malibu Barbie doll up close. Why were her lips so red? Did she have a cherry lollypop for breakfast? She peered into Lala’s small face and said, "Hello. The class is waiting for you." Lala shook her head and crossed her arms. No way was she going to sit on that fake magic carpet. Then she felt strong, muscular arms pulling her towards the carpet. Her dad was dragging her up there. She kicked, screamed, and resisted as much as possible. She felt so humiliated, as she squirmed to break free. The other children were giggling and pointing. How rude! Salty tears welled up in Lala’s eyes, blurring her vision. She quickly wiped her eyes with the back of her hand. She didn’t want anyone to think she was a big baby. Once at the carpet, she sat down reluctantly, wishing she was invisible. Maybe she could join Jack up in that beanstalk. Later when her dad left for the day, Lala peeked around the room and checked out her fellow classmates. They appeared friendly and seemed to have forgotten about the carpet incident. After recess, she was surprised when Ms. Christie complimented her on her neat handwriting skills. 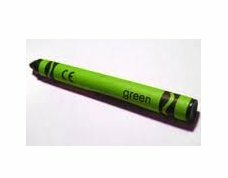 She was happy when a kid named Howie shared his only green crayon with her during arts and crafts. Lala’s first day of school wasn’t so bad after all. Well, except for the redhead freckled girl and the toothless boy who kept laughing at her, things were going to be fine. She was still angry with her dad for dragging her up to the carpet. Lala decided she wouldn’t speak to him for ten days, no, wait, make it twelve days. That would teach him. Oh yeah, she almost forgot. 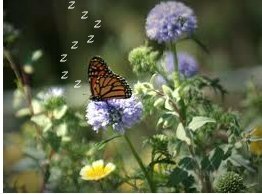 Her butterflies finally went to sleep. About the Author: Ha Kiet Chau is a poet and freelance writer. Her writings have appeared or are forthcoming in Ploughshares, Asia Literary Review, Thrush Poetry Journal, Columbia College Literary Review, and many others. She teaches art and literature in the San Francisco Bay Area. She enjoys working with kids and is a fan of Ann M. Martin's, The Baby-sitters Club series. She is currently working on a collection of stories and poems. You can reach Ha at hakietchau18@yahoo.com . About the Illustrator: This story is available for portfolio illustrations. INTERIM IMAGES COURTESY OF BEDTIME-STORY.